Vertigo, the sensation of whirling and loss of balance, is not a standalone condition in and of itself. Rather, vertigo is a symptom of an underlying health condition, typically a disorder of the inner ear. With vertigo, people can experience episodes of dizziness that can last for a minute, for days, and any duration of time in between. Among the most common causes of vertigo is Meniere’s disease. In Meniere’s disease, an abnormal quantity of fluid builds up in the inner ear and causes the hallmark symptoms of the condition. Dr. Meniere was also the first person to suggest that these symptoms were related to a single disorder connected to the inner ear. It was previously thought that these symptoms were a disorder of the brain. The inner ear contains organs that control both hearing and balance, leading to the discovery and naming of the condition. It might also be referred to as endolymphatic hydrops. The experience of a Meniere’s disease attack not only varies from one person to the next, but subsequent attacks in the same person can also feel different. The common symptoms can be broken down into three phases: before, during, and after an episode. An oncoming attack is often preceded by an aura in a similar manner that a migraine sufferer might experience. These are warning signs that an attack may develop soon. Also similar to migraine, some people report what is described as “hangover” symptoms following a Meniere’s disease attack. Cognitive difficulties – inability to find words, easily distracted, etc. Vision changes – blurriness, trouble focusing, poor depth perception, etc. 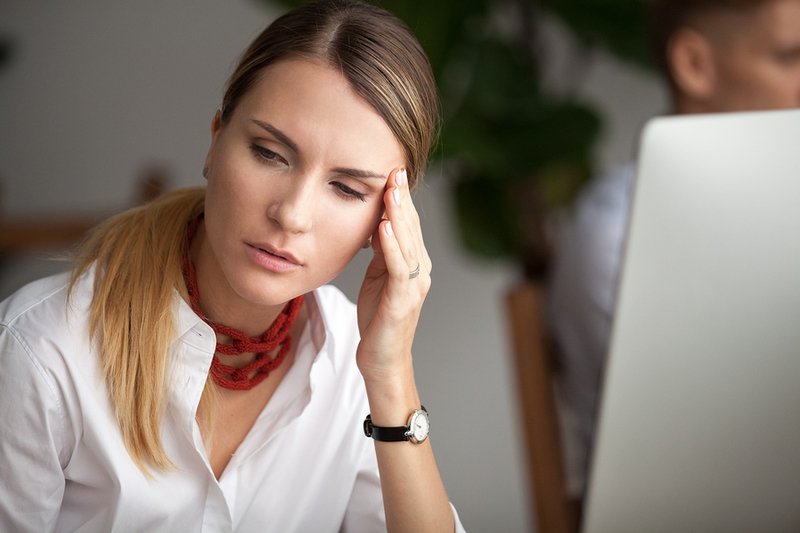 Meniere’s disease is very unpredictable, which is part of why it can cause so much anxiety and be such a challenge to manage and cope with it. It also makes researching the disease more complex. Attacks can last anywhere from 20 minutes up to a full 24 hours. Some might experience several attacks per week. Others can have weeks, months, or even years pass in between episodes. More and more people are finding natural, lasting relief from their Meniere’s disease symptoms thanks in part to a successful 2016 research study. This study follows 300 Meniere’s disease patients through a course of upper cervical chiropractic care. An improvement of over 90% was noted in the intensity of their vertigo attacks. What the Meniere’s disease sufferers in the study all had in common was a misalignment of the uppermost vertebra in the neck, the atlas. Conventionally, Meniere’s disease sufferers looking to treat their condition without surgical intervention or other invasive procedures had few options. Most will have tried a low-sodium diet to see if that would reduce symptoms. Many will also have taken steroid medication (either taken orally or injected) to help control vertigo attacks. An atlas misalignment can cause inflammation, irritation of nerves, reduced blood flow, and CSF (cerebrospinal fluid) flow disruption. Any of these factors alone or in combination can lead to the conditions under which Meniere’s disease symptoms can develop. This study points heavily to an atlas misalignment as an underlying cause since the results showed so much promise and provided a dramatic improvement in vertigo for 291 out of the 300 participants. When you’ve been suffering from the debilitating effects of vertigo, the ability to return to a normal work schedule, being able to drive a car, and regaining the ability to have normal social interactions means the world. At Tranquility Specific Chiropractic, we care for each patient who comes in to see us based on their individual needs. Upper cervical care is different in that each adjustment we give is designed for each patient with the goal of having the correction hold in place for as long as possible. This gives your body the best opportunity to heal naturally from vertigo, Meniere’s disease, and many other health conditions. Burcon MT, Health outcomes following cervical specific protocol in 300 patients with Meniere’s followed over six years. J Upper Cervical Chiropr Res 2016; Jun 2:13-23.